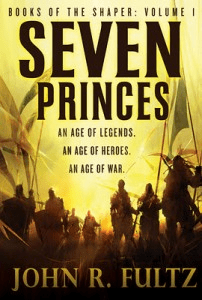 Helen Lowe interviews her fellow epic fantasy author, John R Fultz, whose first novel, Seven Princes, Book One of the Books of the Shaper series, was published worldwide in January, to considerable notice in Fantasy-SciFi circles. You can read the interview here. Voting now open in the SpecFicNZ February Twitter Love Contest!